Powerful evidence from one study after another proves that high quality care in the first years of life can greatly reduce the risk that today's babies and toddlers will become tomorrow's violent teens and adults. High quality early learning and care is one of the most powerful weapons against crime, while poor early childhood education multiplies the risk that children will grow up to be a threat to society. Caribbean countries can benefit economically and socially by investing in Early Childhood Development. This was the message coming out of the presentations for the first year#8217s finding of the Impact Study of the Roving Caregivers Programme (RCP). 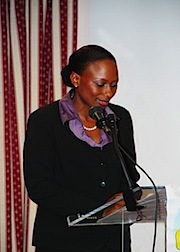 The Caribbean Child Support Initiative (CCSI) launched the study in St. Lucia in 2006.